Thanks to the Philadelphia Phillies recent string of successful years on the field, the team has captured the hearts of many longtime fans who regularly flock to Citizens Bank Park or their favorite watering hole to catch the team in action. It also led to an influx of new fans, especially females who have come to embrace the game traditionally considered to be a man’s sport. To celebrate local women’s increased interest, the Phillies created Baseball 101, a program designed just for women that attracts everyone from former softball players to active Baby Boomers, several years ago. 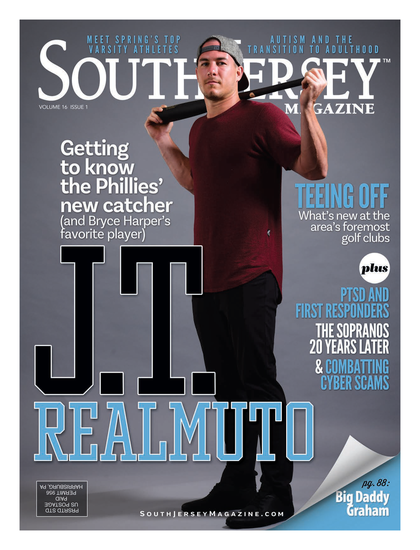 Held twice a year at Citizens Bank Park, the daylong clinic takes guests through the complete workings of the team, from the training room to the clubhouse, from the press box to the dugout. Attendees are taught the nuances of the game by team personnel including President David Montgomery, broadcasters like Chris Wheeler and Gary “Sarge” Matthews, manager Charlie Manuel and other coaches. At any point on a recent May morning you could find crowds of the 140 women in attendance catching grounders from first base coach Sam Perlozzo, while others worked in the bullpen throwing fastballs beside pitching coach Rich Dubee. Another group worked cameras and the scoreboard from the press box area. The day ended with a silent auction, followed by questions with Manuel and outfielder Laynce Nix, along with tickets for that evening’s game. About half of the women present were returning to the clinic after past experiences, coming back to learn more about the finer points of the game. And while some women, like Martin, had a softball background, they were all there to take part in a true, hands-on baseball experience. Hoopes, who could be seen knocking baseballs back in the batting cages alongside former Phillie and hitting coach Greg Gross, joked, “You should have seen me four years ago. As the Phillies success has grown over the last decade, women have had the opportunity to grow with the team, expanding their knowledge beyond the basics of the sport. While sitting down to lunch with Montgomery inside the Diamond Club, the women shot out questions like seasoned sports pros, regarding prospective trades, injuries and plays from the past season.